Art and Prayer. Both are human attempts at transcendence. So art has adorned houses of worship throughout human history. In Western history, the visual arts reflected the faith and practices of Christianity (and Judaism). My own theology teachers spoke of the Medieval Synthesis–the confluence of the Arts and sciences, philosophy and theology throughout much of Western History. Since the Enlightenment, there has been a great deal of fragmentation. Art today is not always representational. Sometimes it aims at deconstructing the world, worldviews, and belief itself. But historically art and prayer were joined. Art sometimes depicting prayer, calling us to prayer, or making visible the interior dimensions of our prayer. Monsignor Timothy Verdon is the director of the Mount Tabor Centre in Barga, Italy. He directs the Diocesan Office of Sacred Art and Church Cultural Heritage, the Cathedral Foundation Museum, and the Centre for Ecumenism of the Archdiocese of Florence. As a senior cleric in the Roman Catholic Church and a respected art historian, Verdon is well acquainted with both prayer and art. 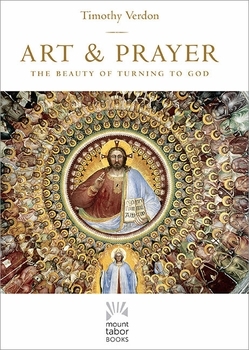 In Art & Prayer: The Beauty of Turning to God, Verdon describes how the arts make visible the nature of prayer. With reference to church fathers, theologians and artists he explores the theme of prayer in Western art. The pieces that Verdon discusses are displayed in full color on beautiful glossy pages. Thank you to Paraclete Press for providing me with a copy of this book in exchange for my honest review. 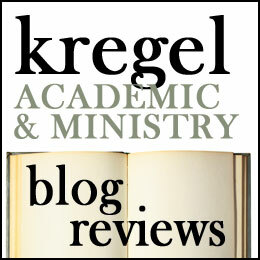 The Holy Spirit in the Catholic Tradition: a book review. As the publishing arm of the ecumenical Community of Jesus, Paraclete has published a number of books from a range of theological traditions. Their Holy Spirit series boasts books from the Jewish, Orthodox, Protestant and Pentecostal traditions. I have reviewed a number of these books here before and have found them immensely helpful. A few of these books are downright fabulous! Jack Levison’s Fresh Air and Amos Yong’s Who is the Holy Spirit? are standout volumes but every single volume is good. Each book manages to illuminate the Spirit in a way that honors their peculiar denominational tradition. These are lay-friendly books, but they are theologically astute. 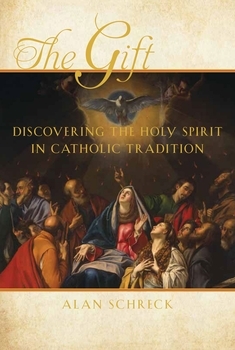 The Gift: Discovering the Holy Spirit in the Catholic Tradition lives up to the quality of other books in this series. Alan Schreck, professor of theology at the Franciscan University of Steubenville is a specialist in Catholic doctrine, church history and the teachings of Vatican II; however this is not just a book about Catholic dogma. Schreck has an eye for how we can deepen our spiritual experience by praying for the Spirit to do his work in our lives. In seven chapters, Schreck synthesizes the wisdom of the Catholic understanding of the the Spirit. In chapter one he describes the person of the Holy Spirit as presented in Holy Scripture and in the Tradition. He describes what the Old and New Testament say about the Spirit, what the Councils and Creeds came to declare about the personhood of the Spirit and the Augustinian understanding which was most influential in the Western Church. Chapter two examines the history of Catholic devotion to the Spirit. Schreck describes various orthodox movements which sought to emphasize the Spirit. Chapters three though five describe the ministry of the Spirit. Chapter three focuses on truth, chapter four focuses on holiness and sanctification and chapter five expounds on gifts of the Holy Spirit. While every Christian would agree that the Spirit leads us into all truth, convicts us of sin and leads us to be transformed in the image of Christ and gifts us for ministry and mission. Schreck illuminates a Catholic understanding of the Spirit’s role in each of these. The Spirit leads us into truth and empowers us to speak it boldly, but ecumenism that denies or downplays truth revealed to the church should be questioned. Holiness is the goal of the Christian life, but in the Catholic understanding, this is described by our cooperation with God in the grace he has given us through the Spirit. The Spirit gives gifts to individuals and orders of the church, but Schreck demonstrates how we are to understand this in relationship to the institutional church. In chapter six, Schreck describes the relationship between the Spirit, the church and Mary. Church was birthed at Pentecost and is constituted by the Spirit and his work. Mary is the first disciple and member of the church. In the Catholic tradition, Mary intercedes for us to the Father, but whatever grace is in her is derivative. She is the recipient of God’s grace and exemplary for her fiat to the incarnation (her ‘yes’ to God). Like the Spirit, Mary points us to Jesus, the Divine Son of God. Mary is not to be understood as the Third person of the Trinity or someone who usurps the Spirit’s role, but as the prime example of someone who cooperates with God and reveals the maternal aspects of God’s character. In the final chapter Schreck discusses the Spirit in the Catholic church today. He focuses on the Catholic charismatic movement and the emphasis of Vatican II on the Spirit’s work. Schreck gives a generous and a positive assessment of these while acknowledging that many Catholics will not feel called to join up with movements devoted to the Spirit’s work. Nevertheless all Catholics should appreciate how the Spirit enables, enlivens and empowers the Christian life. An appendix collects several prayers and reflections on the Holy Spirit which can be incorporated into your daily prayer time. I appreciate Schreck’s articulation of Catholic teaching. Throughout this book Schreck comments on the Catechism, Vatican II and Catholic theologians live Hans Urs von Balthasar, Joseph Ratzinger (Benedict XVI) , Yves Conger, John Paul II, and Vatican II. He gives a careful and reasoned defense of Catholic teaching on the Spirit and draws out the implications for our lives. As a non-Catholic reading this book, there are areas where I disagree with Schreck rather sharply. However I appreciated Schreck’s description of Catholic teaching and practice. In addition to having a good grasp on Catholic dogma, he seems to also be an apt apologist, anticipating many of the difficulties protestants like me face. I found Schreck generous and evenhanded in his presentation and do not hesitate to commend this book to you. Catholics will obviously benefit most directly from this book. As a non-Catholic I gained a greater appreciation for Catholic teaching and the insights of the theologians that Schreck culls together. This is a great short book on the Spirit in Catholicism. I give it four-and-a-half stars. 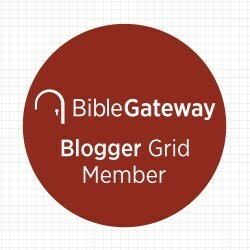 Posted on September 4, 2013 Categories Book Review, Books, Holy Spirit, Paraclete Press, Reviews, TheologyTags Alan Schreck, Book review, Book Reviews, Catholicism, Holy Spirit, The GiftLeave a comment on The Holy Spirit in the Catholic Tradition: a book review.